Prosecco in the Park: Massachusetts Lawyer! Oh dear... I can't believe it's Friday already. Where did the week go? I've certainly done a fantastic job at neglecting this blog, but things have been busy. On Wednesday JD and I were in Boston for him to be sworn in, officially, as a lawyer in the state of Massachusetts. 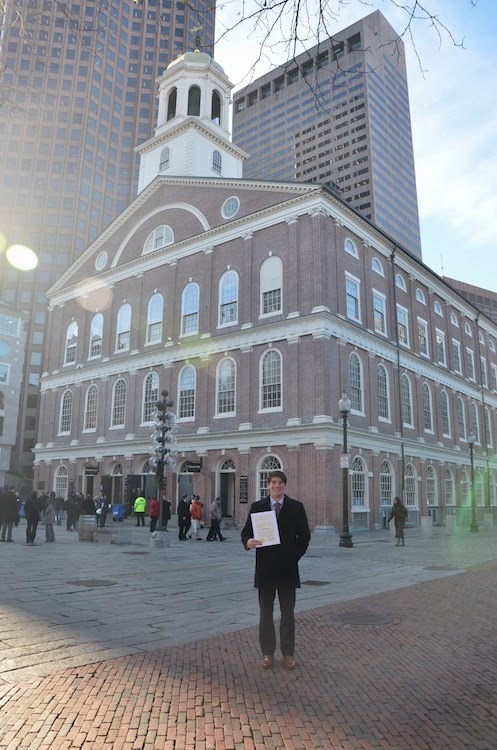 The ceremony was lovely and held in the historic and beautiful Faneuil Hall which was built in 1742. I very much enjoyed the history lesson provided by Clerk Doyle in her welcome speech. JD said he wanted to laugh, thinking of me sitting up on the balcony, getting such a kick out of it. Once the new lawyers took their oaths and were officially sworn in I went downstairs to watch JD sign the scroll and accompanied him on stage to receive his license. 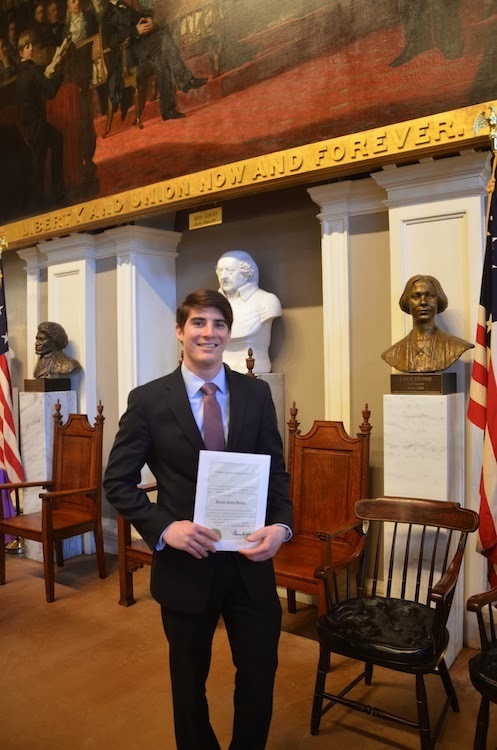 In Massachusetts, at least, they allow a family member or friend to present the new lawyers with their license. It follows in an old tradition where lawyers would be sworn in in open court, with the approval and support of another attorney. I am so very proud of you, JD.